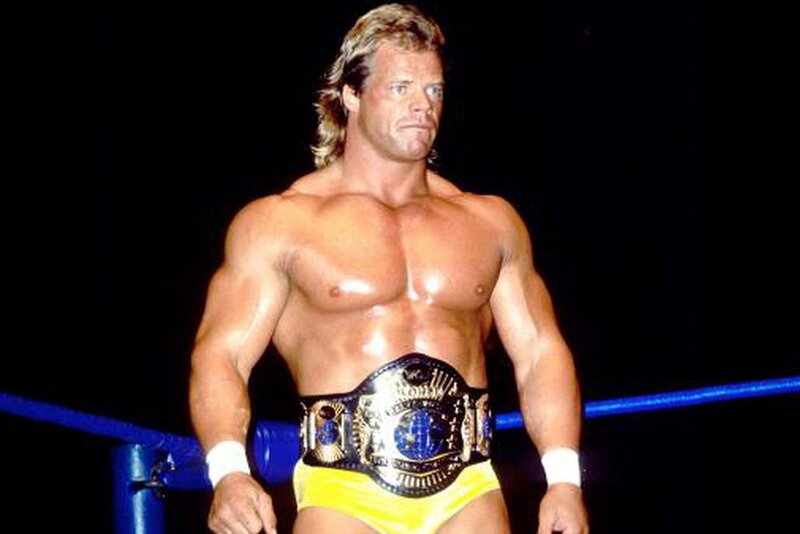 Roman Reigns was only one year old when Lex Luger made his pro wrestling debut, but if anybody paved a similar path like WWE’s “Big Dog” it was Lex Luger. While green in the ring and stilted on the mic, Luger had the look that wrestling promotions would salivate over (plus his pro football background was an added bonus.) He was pushed heavily throughout his tenure in WCW, going onto be a prominent force in the U.S. Title division and eventually found himself in the World Title picture. He was involved with every major act in some form or fashion (which included a run as a member of the Four Horsemen) and it came down to contract disputes that led him to the World Bodybuilding Federation (eeesh) then into the WWF. Luger started off his WWF run as The Narcissist, where he was managed under Bobby Heenan. Decked out in silver and surrounded by mirrors, The Narcissist was a weird name with just an odd look for guy who could be packaged as something much bigger. Tin foil and tassles just weren’t doing the trick. Vince found that (or at least thought he did) with Luger as an All-American babyface. He pushed Luger to the moon as the “stars and stripes” donning patriot driving to events cross country in the Lex Express. But the fans weren’t having it. The demand from the crowd was for Bret Hart and Vince’s foot was light on the gas pedal when it came down to making Luger the face of his company. This lead to the two both winning the 1994 Royal Rumble and them both getting a shot at WrestleMania X against Yokozuna, which Bret ultimately won. Luger would later tag with Davey Boy Smith for a short stint as “The Allied Powers”, but then Luger’s contract expired and he left for WCW again, unbeknownst to the WWF. Luger’s surprise appearance on the initial WCW Monday Nitro was the first of many shockers in the infamous Nitro & Raw donnybrook. He’d go heel to join the Dungeon of Doom, then eventually win the tag team titles with Sting before they all began to battle the N.W.O. at Bash at the Beach 1996. From there, Luger remained a babyface, winning the World Title from Hogan and eventually joining the N.W.O. Wolfpac when the group started showing division in the ranks. Luger would finish up his 90s tour with a “Total Package” heel run, but what he’ll be known for was an act that was hot, but never quite as hot as the rest of his main event colleagues.